On 4 June 2018, China Power organized a listing regulation training on the listing rules and responsibilities of senior management as well as statutory requirements for financial reports and information disclosure of listed companies. 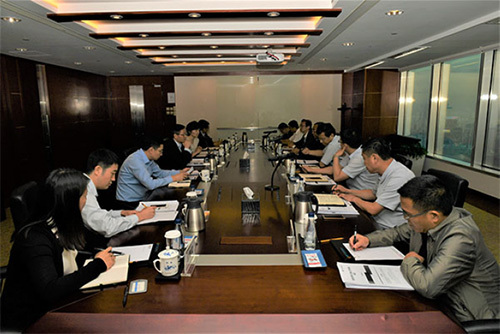 The persons in charge of the newly acquired Guangxi Company and Shandong Companies attended the training. Chairman of the board of directors of China Power Yu Bin hosted the training session and delivered a speech, while Vice President Xu Wei and Shou Rufeng also participated in the training. Yu Bin emphasized, the enterprises which just joined a listed company should build a standardized corporate governance and operation systems and ensure every aspect of work of the listed company is in compliance with laws and regulation and the company is under healthy operation; they should foster a concept that the listed company must operate according to laws and regulations, strictly obey the regulatory requirements of the listing rules and build an effective mechanism for risk prevention. The training session has made good results. The attendees all indicated that they would strictly comply with the relevant listing rules and regulatory requirements and maintain a good market image for the listed company.